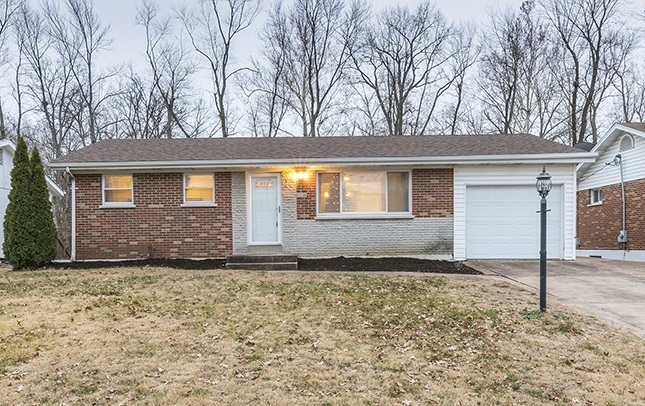 Circa 1962: Adorable Oakville home with tons of updates! Gorgeous hand-scraped laminate greet you when you enter, the color is stunning & wears very well. The living room also has crown molding that just add so much character to the room. The kitchen is the show piece. The 42″ cabinets are plenty & beautiful. The center island will be where all your gatherings occur. The granite is New Azul Aran & is considered an exotic stone! The appliances are SS & can stay. Both main floor bedrooms are good sized. The main bathroom was updated. The basement has a huge family room that is perfect for movie nights & parties with friends. There is a wet bar with granite counter. There is also a bathroom which has been updated. You will also find another bonus room – guest room, office, home gym- you decide! Separate laundry room so you can keep that out of sight. Also the basement has additional storage space! The backyard has a big patio and is flat. You will have tons of entertaining space.